Maybe this post is a little early but I know that Canadian Thanksgiving is right around the corner followed by Halloween, Thanksgiving, Christmas and New Year's. They will be here before you know and I can't wait! I love the holidays. I am not someone who recommends dieting during the holiday season, skipping meals or anything like that. Part of the family enjoying Christmas Eve dinner last year! Adalyn is chowing down of course! I would not feel my best if I did these thing so I certainly would not recommend it for anyone else. In fact, some of the practices that people recommend to keep off weight gain during the holiday season are downright dangerous. 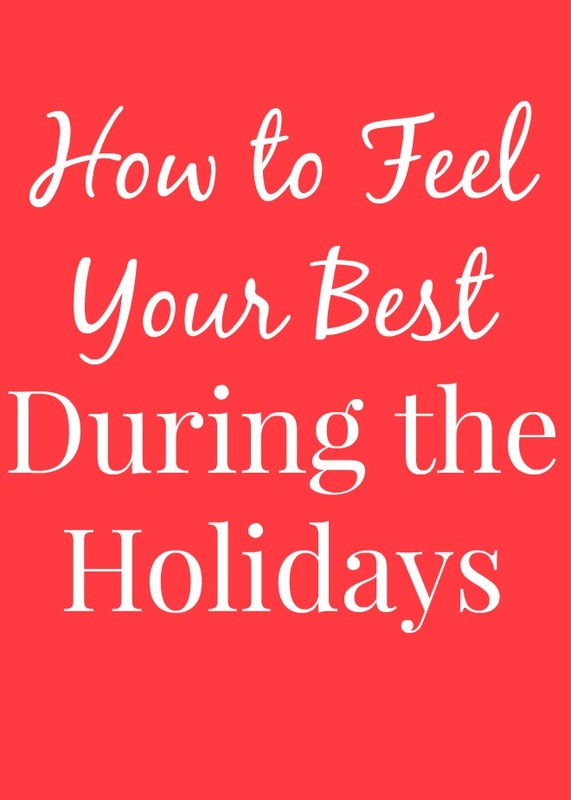 I'm here to give you my best tips for feeling your best all through the holidays. When you are dehydrated, you can feel hungrier. Throughout the day, have plenty of water or decaf tea to ensure that you are getting plenty of liquids. Staying hydrated will help you feel your best and keep away unnecessary tiredness, headaches and more than can result from dehydration. Trust me, skipping meals is not going to make you feel your best. If a party starts around lunchtime, I like to have a nutritious fiber and/or protein packed breakfast. Favorites include eggs or oatmeal. If a party starts later such as in the evening, I like to have a big salad for lunch or a veggie stir-fry for nutrients and to keep me from getting too hungry while not overdoing it. I think a big reason why people gain weight over the holidays is that they stop exercising. You are probably busier with a mile long to-do list and it may be cold outside where you live. Make time to exercise. It will help you feel your best! I like to walk on the treadmill when it is cold out, even for just 20 minutes. I always feel better when I get some movement in then when I just sit around all day. When it comes time to make a plate at a party, I say try a bit of everything that you want to but do not take huge portions of each. I like to make a tasting plate and then go back for what I really enjoyed. When there are three desserts that I want to try, I take a small piece of each. This way, I do not feel deprived and get to enjoy a bit of everything without going too overboard. I prefer to add healthy foods instead of focusing on subtracting them. For example, instead of saying I can't have a cookie, I will think, at the next meal, I will add more veggies for fiber and nutrients. Instead of saying I shouldn't have a bowl of chili with cheese, pair a spinach salad on the side. By making sure you get enough vitamins and minerals, you will feel your best. I also take a prenatal vitamin, fish oil and probiotics. I like the Nature Made® probiotics which I picked up at Walmart. When I take my supplements, I feel good! Nature Made® is the #1 Pharmacist Recommended brand for many key dietary supplement categories*. 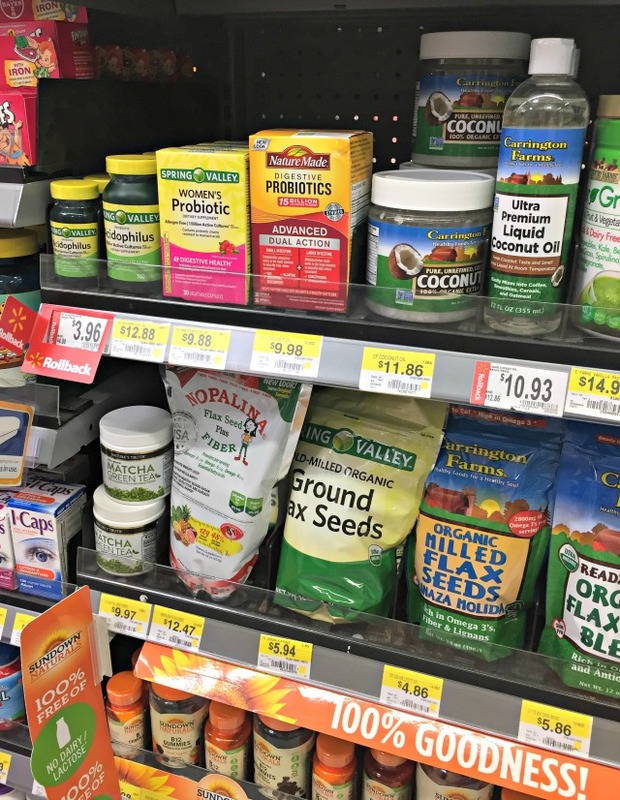 They are good prices and come in a variety of different vitamins for many different needs. Nature Made® Probiotics: Nature Made® Advanced Dual Action Probiotic has been clinically studied and provides dual support to both your small and large intestine for comprehensive coverage to help support digestive balance and healthy gut flora.†. Visit the Healthy Habit Builder for motivation and tips for your health goals. Nature Made® vitamins and supplements: An easy, convenient way to help your body get the nutritional support it needs every day, whether it be to support bone health, immune health or energy metabolism (helping convert food into energy).† For more information on Nature Made® vitamins and supplements, visit the Retailer Hub and enter for the chance to win 1 of 40 $50 Walmart gift cards.